Join us Sunday mornings at 11:00 in the Sun Room. 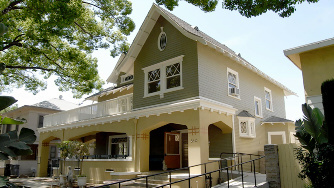 **Join our Laguna Country UMC Events Facebook page to keep up with our news and events. Weekly Manna, or if you’re already on Facebook, search for Laguna Country UMC Events and join the page. April 6 - Ash Wednesday Service - 7:00 p.m. in Ficklin Hall. April 14 - Palm Sunday Service - 9:30 a.m. in Sanctuary. April 16 - Potluck and Game NIght - 5:00 p.m. in Ficklin Hall. Bring a dish to share. April 17 - Wonderful Wednesday Entertainment - 2:00 p.m. in Ficklin Hall. Invite your friends and neighbors to see Paul Orsi. April 18 - Maundy Thursday Service - 7:00 p.m. in Sanctuary. April 19 - Good Friday Service - 12:00 p.m. in Sanctuary. April 20 - Potluck and Game NIght - 5:00 p.m. in Ficklin Hall. Bring a dish to share. April 21 - Easter Service - 9:30 a.m. in Sanctuary. April 23 - Lunch with Friends - 12:00 p.m. at California Pizza Kitchen. April 27 - OK Chorale Concert - 1:30 p.m. in Sanctuary. RSVP via the Weekly Manna link or by calling the church office. For many years, shawls have comforted and given solace, symbolic of an unconditionally loving God. A Prayer Shawl group has been started here at LCUMC. Everyone is invited to participate. If you do not knit or crochet, you may donate funds to purchase yarn for the group. Contact the Church Office for more information. Our Chancel Choir rehearses each Thursday at 7:00 p.m. and each Sunday at 8:45 a.m. in the Choir Room. Small Group meets Mondays 5:00 p.m. in the Choir room. Now is a wonderful time to become a part of our group! Make a joyful noise unto the Lord! We would love to have you come and join us in the bell choir on Friday Mornings at 10:30 a.m. in the Sanctuary. No previous musical experience is required, just a desire to play music in praise of God. See Richard Warne for more information. Beth Mueller leads her flock in a clear, insightful and interactive Bible study every Tuesday night in the heart of skid row for anyone who enters her doors. She also provides spiritual materials for anyone living on the street. The skid row Ministry feeds 150 guests every morning. We bring homemade sandwiches and desserts which we share during Fellowship after Bible study and we also bring donations needed by the homeless from our congregation. 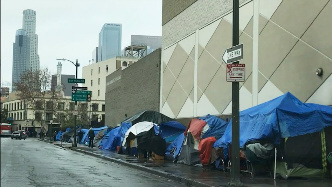 Please join us on our quarterly trips to Beth's skid row ministry to spread compassion and hope to those less fortunate individuals living on the streets of Los Angeles.Call the office @ 949 837-3414 for more info.